Back when OFT was creating our Keep Taiwan Free Indiegogo campaign, our team had multiple discussions regarding what would be some perks for the people who donated for the cause. We tossed around many ideas – How about tee shirts? Teddy bears! A free limo ride to the rally?! Or how about free tickets to a Broadway show? In the end, we opted for some rather meaningful perks to give to our backers – KTF tee shirts, an OFT workshop, KTF flags, just to name a few. 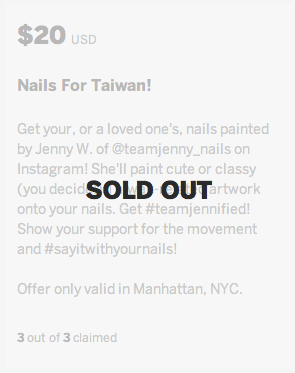 On our list of perks, also included drinks with Victor (FAPA-NJ), dinner with Eric (OFT), or…you can have brunch with me or you could get our nails painted by @teamjenny_nails (I also happen to be one of the Jennys of Team Jenny Nails)! I was thoroughly surprised when by the end of the campaign, both perks involving me were sold out. With the Keep Taiwan Free Rally over for this year, the team is currently busy sending out all the perks. In addition to sending out shirts, stickers, etc, I’ve also been busy planning brunches and nail sessions! So far, I have fulfilled 2 of the 3 for brunch. 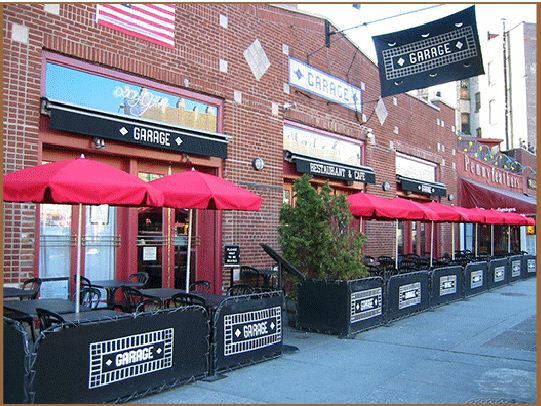 The first one was with Tom, and we went to this place I found on Yelp that has jazzy brunch. Tom is half Taiwanese, half Korean and was born & raised in the US. Over a delicious meal and live music, he shared anecdotes with me about how he recently traveled out west to California, and his interactions with people there. Tom said that he noticed out west, it seems that the Asians there are mostly 3rd or 4th generation, and suggested that if possible, OFT should try to expand over to the west as well. Thanks for the suggestion, Tom! The second brunch was with Oliver, who grew up down south but then moved over to NYC. He is quite supportive of the movement and came out to 23 Million Voices as well as the rally. 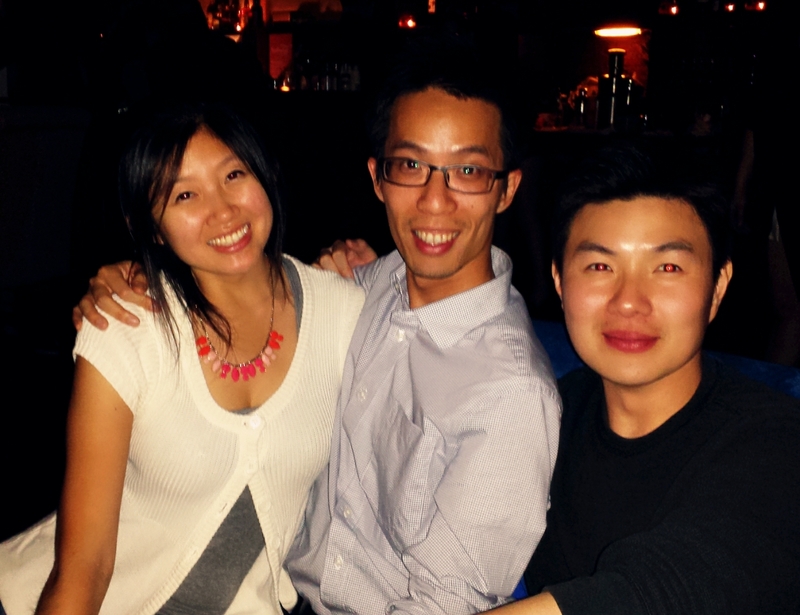 We shared stories of our involvement in the Taiwanese American community. Oliver was also quite helpful in sharing his thoughts and suggestions about how Outreach for Taiwan and the Keep Taiwan Free Movement can improve. 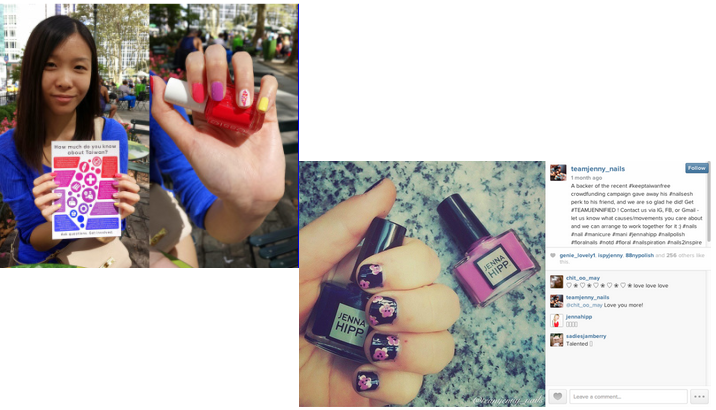 Reflecting on fulfilling these perks for the KTF Indiegogo from my end so far, it feels good to be able to utilize my interests/hobbies (food and nail art, awesome!) and incorporating it with something that I am passionate about. It is possible that some may look upon these perks and deem them childish. 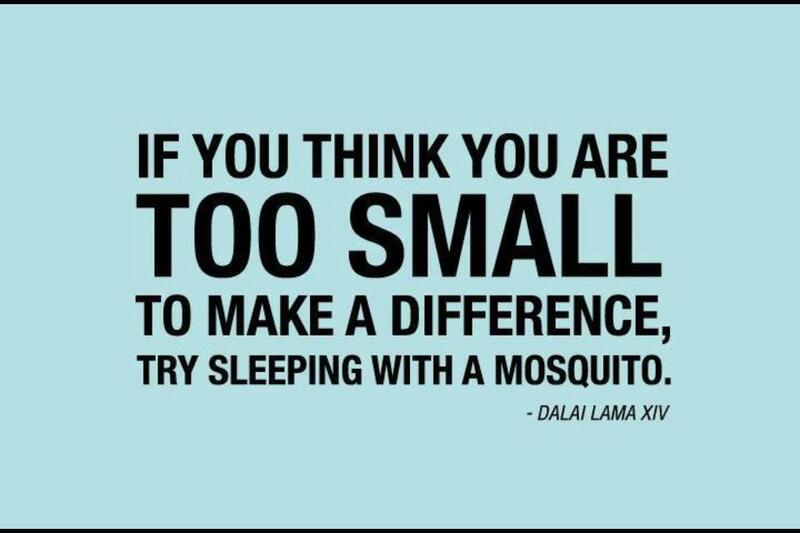 However, I strongly believe that change and awareness can be sparked from a grassroots level. 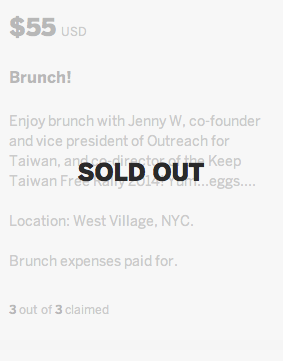 Perhaps after my brunch with Tom and Oliver, that afternoon when their friends asked what they did during the day, they shared that they had brunch because they chipped into a crowdfunding campaign for the Keep Taiwan Free movement. Or perhaps Irene went to work the next weekday and a colleague asked her what that design was on her ring finger. It’s these little conversations that can ignite interest, curiosity and more importantly, hopefully awareness and change. With 1 more brunch, 1 more nail session, a few more shirts & all the teddy bears to send out (teddy bears are still getting stuffed! 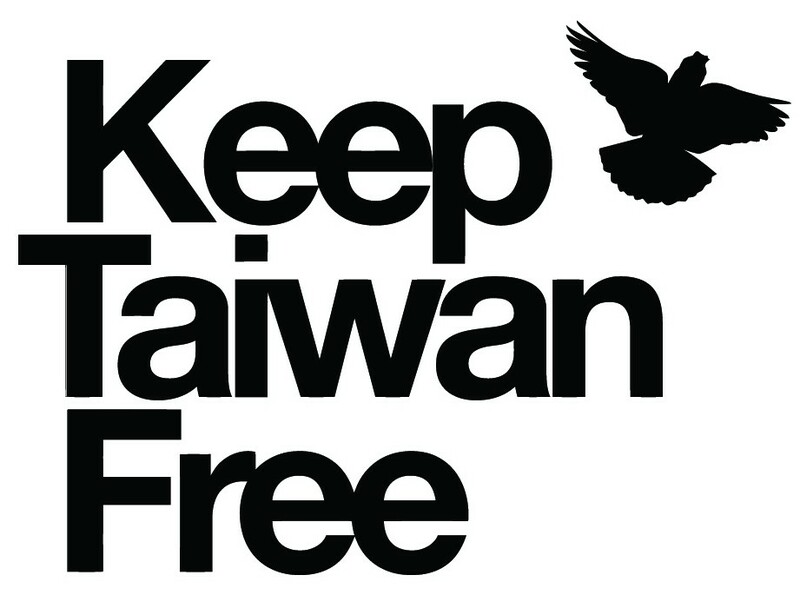 *), as well as the current ongoing situation for Taiwan, it is clear that this movement is still not over. Keep Taiwan Free directors, from left to right, of 2014 (missing Eric), 2013, and 2012. This year was my 4th year involved with the Keep Taiwan Free Rally, and my first year co-directing it. Being co-director and playing such a huge role in this annual rally was, and continues to be, an emotional roller coaster. It’s stressful yet fulfilling, draining yet rewarding. *We deeply apologize for the extreme delay of the Formosan Black Bear teddy bears promised in our Indiegogo perks. The production, stuffing, and process is taking way longer than we have ever expected. 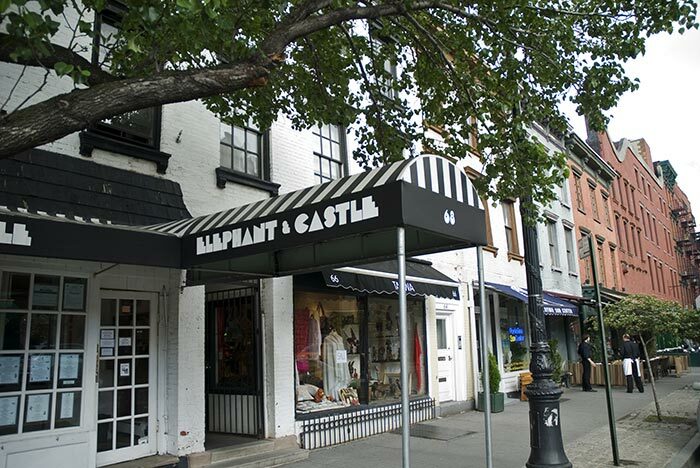 Thank you so much for all of your patience and understanding! We are continuously communicating with the teddy bear vendors to make sure that the bears will be perfect and delivered as soon as possible.